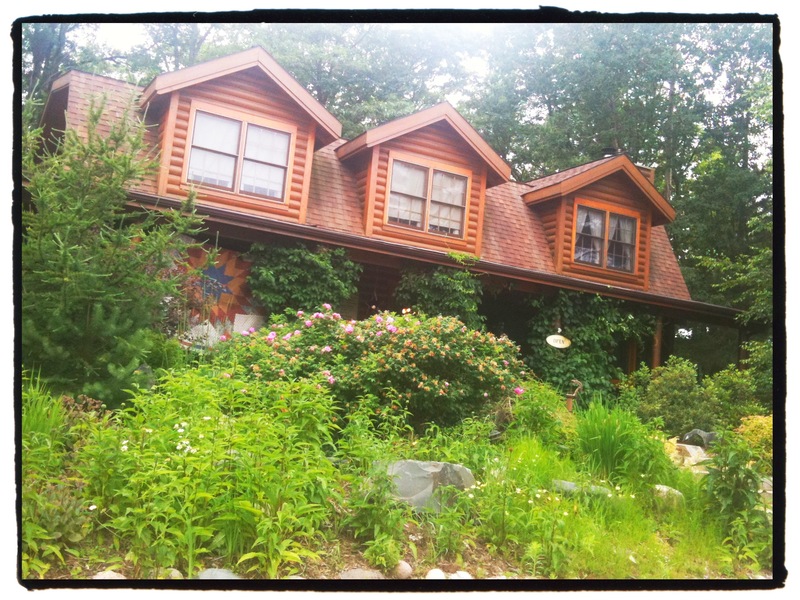 summer | Sew Lindsay, Sew! Today’s “finally-finished-it Friday” post is brought to you by… sweet summertime watermelon bunting! Last Halloween, I made some bunting inspired by candy corn. For Easter, I made bunting inspired by marshmallow Peeps. I started this project months ago – the idea has been in my head for awhile. All of those little pink triangles have been sitting on my cutting table since I abandoned them sometime during the spring. I finally decided to finish up so I’d still have a chance to enjoy this summer decor! 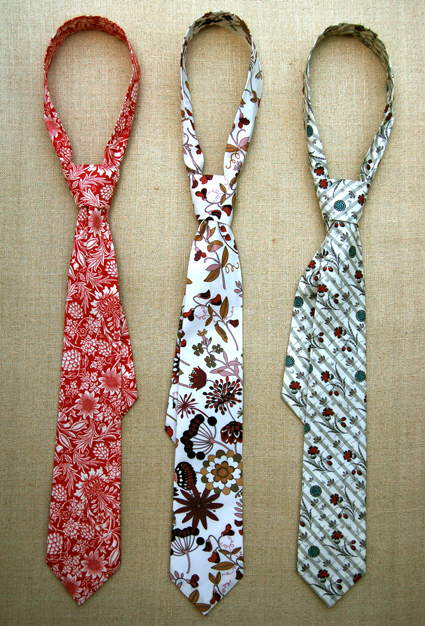 Here’s the sewing-related Father’s Day blurb: a free necktie tutorial at The Purl Bee! My dad rarely wears neckties in his profession – he’s a dentist and can most often be found wearing scrubs. However, I have some guy friends who often wear ties to work, so I have tucked this tutorial away for a future project! 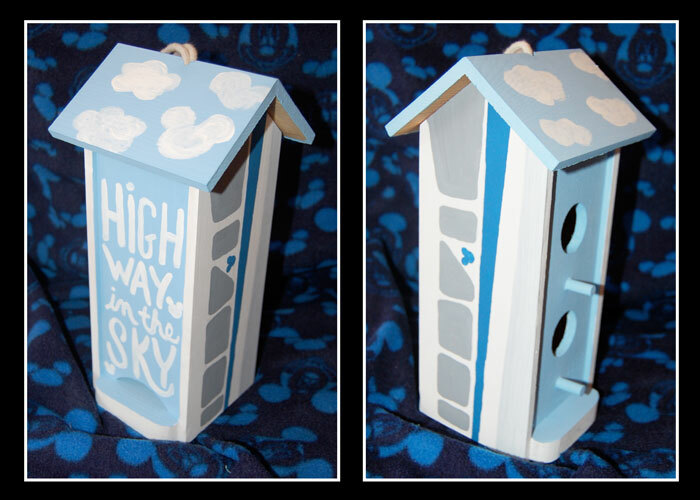 Now, the non-sewing related Father’s Day craft that I’ve been waiting to share. My dad really enjoys birdhouses, bird feeders and pretty much any other device that attracts birds into the yard. He spends summer nights sitting on the back porch with a glass of red wine, looking over his land and watching the birds take advantage of the whimsical sanctuary he’s created in the yard. First things first: HAPPY BIRTHDAY MOM! Christmas in June! At least, in my office. Let’s face it, I’m new to sewing and exceptionally slow. Projects that would take an hour for a seasoned seamstress to complete take me an entire day, if not longer, as I carefully analyze each step and spend a lot of quality time with my seam ripper. Therefore, working on holiday gifts 6-7 months in advance is probably a good idea, especially since the holidays are notorious for being sneaky and making time move exponentially faster as they approach. On the other hand, how disheartening is it to complete a project and not be able to show and tell? I’m not very good at keeping sewing secrets. 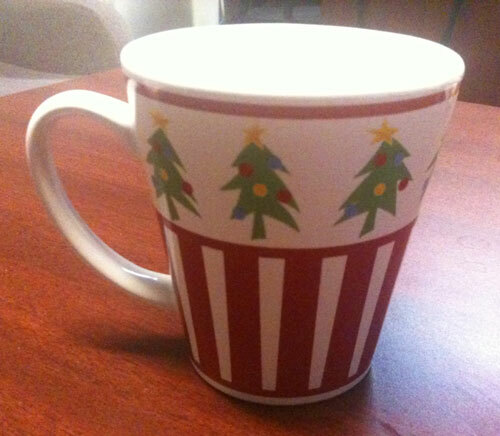 How far in advance do you start thinking about the holidays? Of course, I plan on keeping my project list bright and summery. 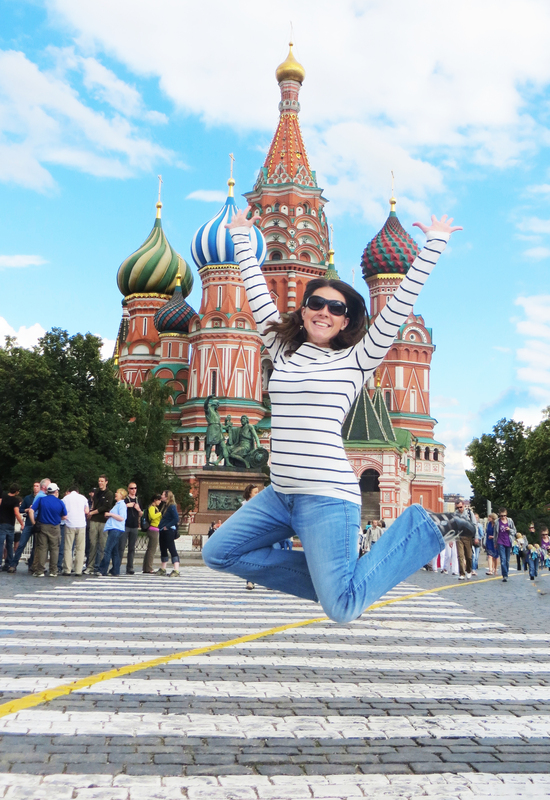 No plans for heavy quilts or winter projects! 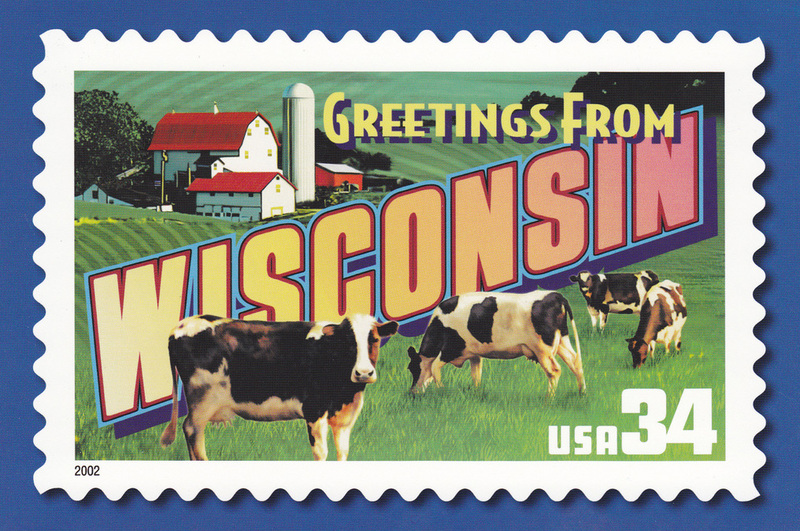 Check out some of these FREE (!!!) 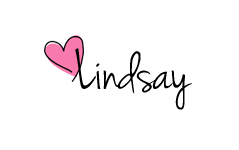 tutorials I’ve recently added to my summer project inspiration list. This adorable strawberry bag folds up into a tiny take-along strawberry when you’re not using it. Hello, Farmer’s Market! 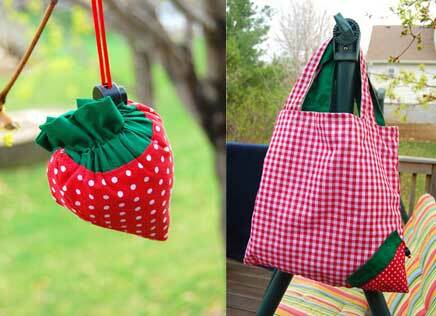 Click here for the free strawberry bag tutorial at ikatbag! What’s a day at the pool without a hooded towel? And these aren’t just for kids — I’m 27 and may or may not have hooded towels with Mickey ears folded up in my bathroom closet. 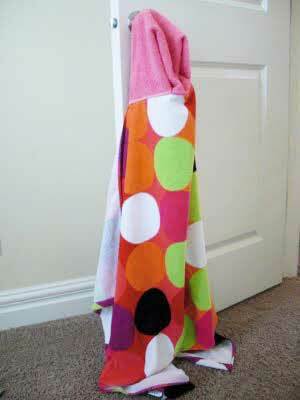 Click here for the free hooded towel tutorial at Obsessively Stitching! Although these are usually advertised for carrying cloth diapers, wet bags are perfect for carrying damp swimsuits! Click here for the free wet bag tutorial at A Lemon Squeezy. This insulated picnic tote is perfect for keeping groceries cold on a sweltering summertime car ride home. 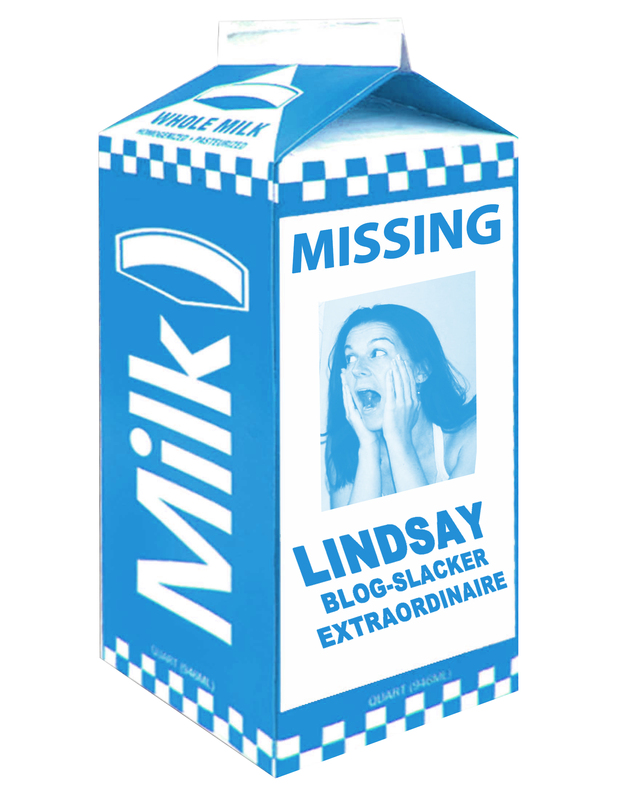 I desperately need one of these! Click here for the free insulated tote tutorial at Punkin Patterns. Check out this quaint little bike bag for that special cyclist in your life. 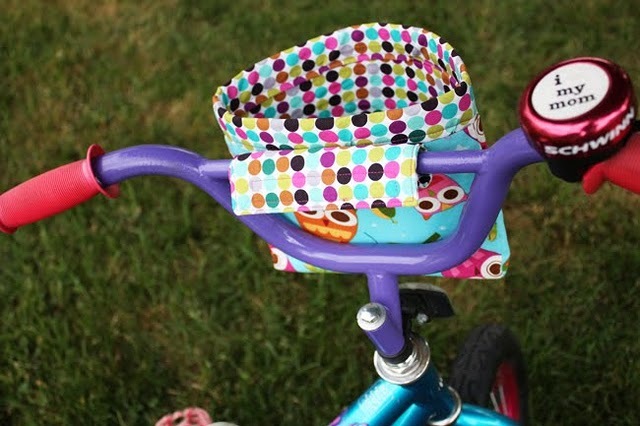 Click here for a free bike bag tutorial from noodlehead. 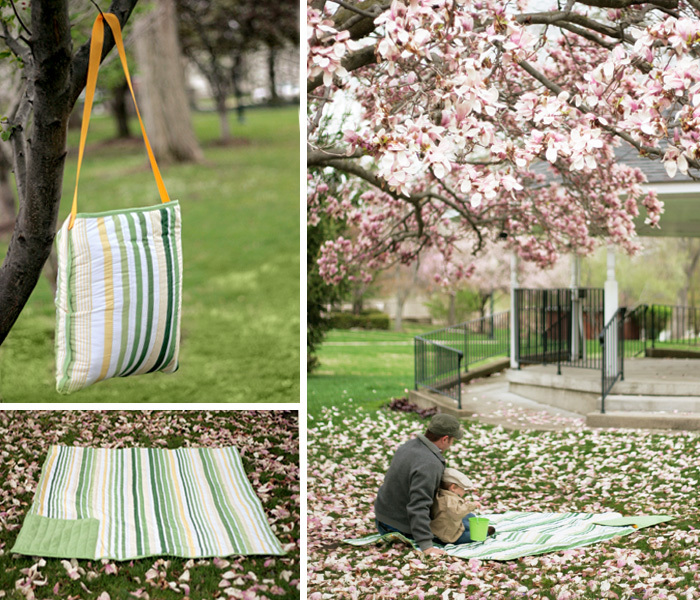 Any picnic blanket is a nice-to-have item – but a tote bag picnic blanket is a must-have! 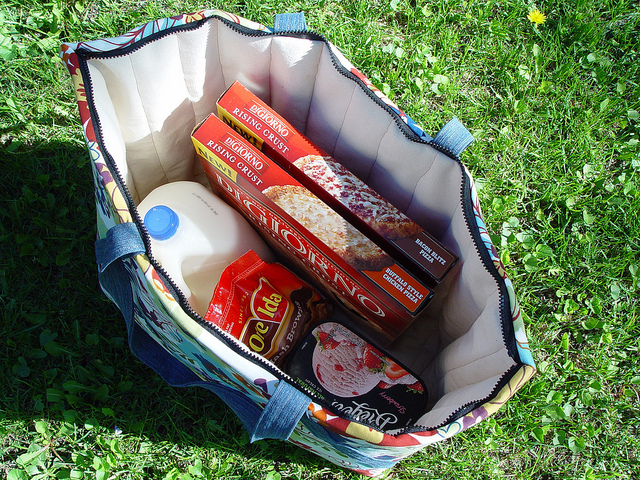 Click here for a free picnic blanket tote tutorial at Craft Buds. This garden apron is so cute that I don’t think I could bear to get it dirty! 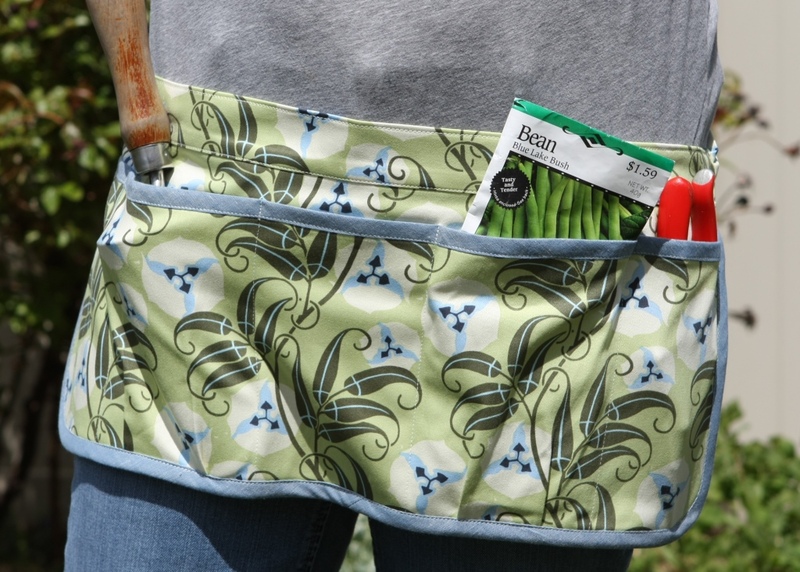 Click here for a free garden apron tutorial at Make it Do. Just look at these giant strawberry pillows. Honestly. Have you ever seen anything more magical? I’m in awe. I just love these. 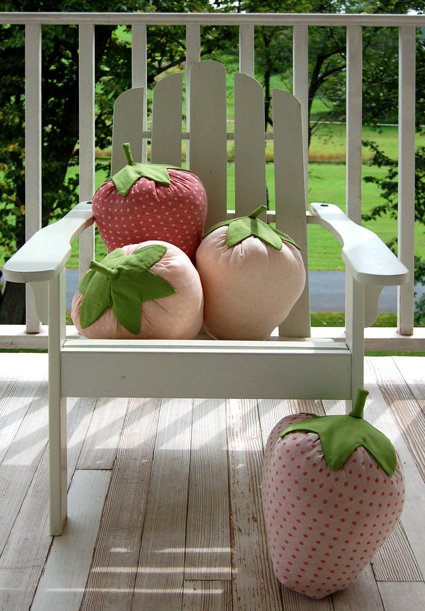 Click here for the free strawberry pillow sewing tutorial from The Purl Bee. Believe it or not, these projects are just the tip of the iceberg. 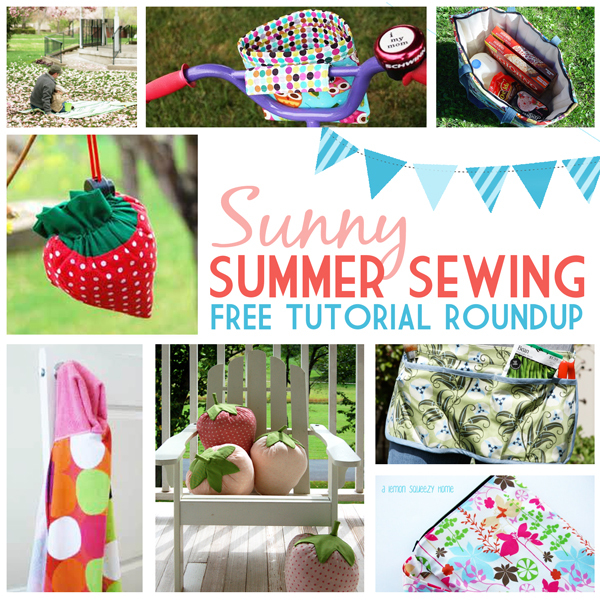 I found tons of inspirational summer sewing tutorials out floating around the internet – it was really hard to narrow down my favorites! 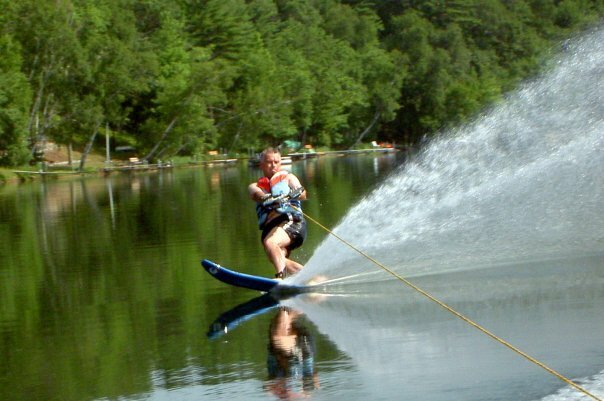 What’s on your craft list this summer?